April is National Parkinson’s Disease Awareness Month and we realize that many of our readers, or their loved ones, are affected by the disease. PD (Parkinson’s disease) is typically not diagnosed until age 50 or older and is currently incurable, but not fatal. However, its complications, like pneumonia, can be life-threatening. This makes an early diagnosis, close medical monitoring, and supportive senior care crucial for those with PD. Please review these important facts about PD and learn how to recognize early signs. PD is a neurodegenerative disorder, causing gradual nerve cell deterioration in the brain region known as the substantia nigra, over a period of many years. The brain cells affected are dopamine-producing neurons. The neurotransmitter, dopamine, helps coordinate body movement— turning thoughts about moving into active motion. Dopamine also regulates emotional responses, helps you to pay attention, learn, and more. Parkinson’s is 50 percent more common in men and the cause of the disease is currently unknown. Parkinson’s symptoms vary from person to person and progress at different rates. If you notice these symptoms in yourself or a loved one, see your doctor for an exam. The symptoms can be caused by other medical conditions, so you must see a doctor for a diagnosis. Doing so quickly will help you maintain good health and reduce stress (on you as the patient, and your loved ones). No matter what the cause of your symptoms may be— early diagnosis provides the very best chance for successful treatment and a bright future. Most people with Parkinson’s are diagnosed after age 50. As individuals age, PD can lead to PDD (Parkinson’s Disease Dementia). To maintain the highest possible quality of life, individuals living with Parkinson’s disease must be regularly monitored by their physician, usually a neurologist. Physical therapy is commonly prescribed early on— and regular exercise is known to delay worsening of symptoms. There are a number of medications used to help manage PD. For the best prognosis, patients should have the understanding and support of family members and/or caregivers, as needed, so that they can overcome the challenges of Parkinson’s disease. The actor Michael J. Fox is a well-known individual living with Parkinson’s, (diagnosed early, at age 30), and Alan Alda recently revealed he has PD, diagnosed about four years ago, at age 78. Both provide examples of, and valuable insight about, living well with PD. How Common is Parkinson’s Disease? Parkinsons.org states that approximately one million people will be living with PD by 2020, with 60,000 new cases diagnosed annually. 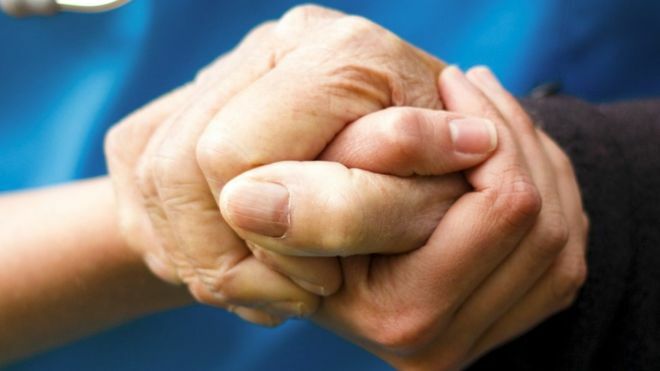 The aging population with Parkinson’s is creating an increasing need for senior care options and supportive services. Medical research is ongoing–to find better medications and treatments to counter symptoms, and potentially discover a cure for PD. The NIH (National Institutes of Health) has published an outline of promising Parkinson’s research in progress. For seniors living with Parkinson’s disease, and their loved ones, A Place at Homeprovides customized in-home senior care options. Contact us for more information.